Partial knee replacement is now a popular and scientifically supported method of resolving the arthritic pain of the knee, preserving much of the structural integrity of the remaining knee. When only one area of the knee has worn down with advanced arthritis, and the remainder of the knee has little wear with intact structural ligaments, this may be an opportunity to replace only the damaged compartment of the knee. The procedure is also known as “unicompartmental” knee replacement. Patients who qualify for this unique solution to their knee pain will find several great advantages to partial knee replacement when compared to a total knee replacement. First, the typical partial knee replacement patient will have increased motion in their knee after completing therapy above what typical total knee replacement patients will realize. Second, the motion through flexion and extension will seem more natural because the anterior cruciate ligament (ACL) is maintained in partial knee replacement surgery, but is removed in a total knee resulting in a different, more mechanical feeling to the knee. The loss of the ACL in a total knee is thought to be the reason why patients are uncomfortable kneeling and descending stairs after surgery. Third, partial knee replacement surgery is a more bone-conserving operation, which allows for the unlikely revision to a standard total knee replacement in those very few patients who either wear out the remainder of the maintained knee or have a loosening failure of the implant. Finally, most partial knee replacement patients recover to active function quicker than a typical total knee replacement patient and…for virtually all patients, this surgery is done as an outpatient procedure where the patient goes home immediately after surgery is completed. Once it has been determined by your history, exam and radiographs that you are a candidate for a partial knee replacement, it then becomes important to select the type of implant, the surgical technique and even the surgeon which is best suited to your situation. There are many types of partial knees from which to choose and just as many surgical techniques to implant them. How do you choose? 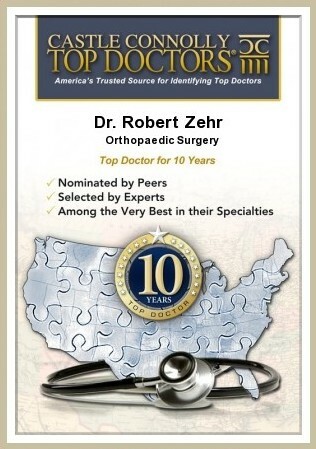 What should make it easier for you to select the correct implant, technique and surgeon is to familiarize yourself with the most sophisticated technology available today, in which a sophisticated robotic arm and 3D spatial positioning software assists a well-trained, experienced knee surgeon to implant your knee in the most accurate way possible. This is possible with Mako Technology! Mako robotic-arm assisted knee surgery is the most consistently reproducible, precision joint replacement installation system available in the world today. It allows certified surgeons to optimize knee implant sizing, tracking, and ligament balance, enhancing implant function and longevity. The accuracy is within 1mm and 1 degree, and has been shown to be at least 3 times more accurate than standard human held instrument systems. The Mako Partial Knee application is an innovative treatment option for adults living with early to mid-stage osteoarthritis (OA) in the medial (inner), patellofemoral (top), or lateral (outer) compartments of the knee. 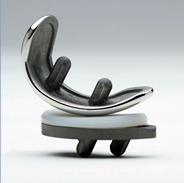 Mako technology allows for consistently reproducible precision in performing partial knee resurfacing. The robotic-arm assisted surgery system provides precise initial computerized sizing and placement of the implants in virtual reality, but that’s where all the other systems stop and Mako Technology far exceeds all others. 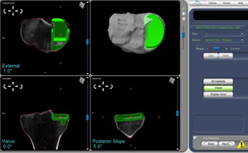 Real-time live motion data is collected during the intra-operative planning phase and this is used to make the fine corrections in the balance and tracking position of the implants, which other systems just don’t do. 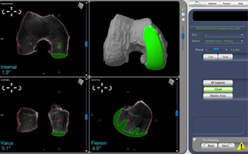 During surgery, the Mako System provides the surgeon with real-time visual, tactile and auditory feedback to facilitate optimal joint resurfacing and implant positioning. It is this optimal placement that can result in more natural knee motion following surgery. How does the Mako System work? Before surgery, a CT scan is taken of the patient’s knee, and a 3D model created using the Mako System’s software. From this model, a pre-surgical plan is developed for the positioning of implants based on that patient’s unique anatomy. To ensure implants are optimally positioned and that the soft tissues of the knee are balanced for a good surgical outcome, surgeons can test and fine tune the plan before surgery by moving the leg through different ranges of motion. The Mako technology provides measurements and visualization, and the surgeon adjusts the plan as needed. Once the surgical plan is finalized, it is programmed into the Mako System, which creates a safety zone for bone removal. 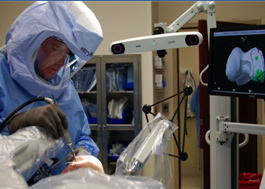 While the surgeon guides the robotic arm and is in control of it at all times, the system ensures that bone removal stays with the safety zone of the surgical plan, providing auditory, visual and tactile feedback, and stopping the robotic arm, if necessary, before bone can be removed outside the planned area. 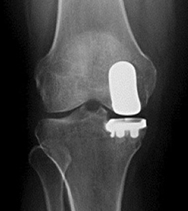 Once the bone preparation is complete, the implants are placed in the knee. 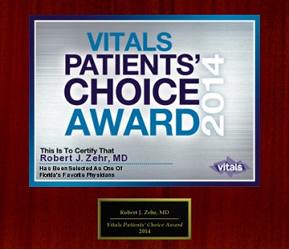 See what patients think of Mako Partial Knee!